"You might think that anything you do is just a drop in the ocean. But think back to my ocean voyages. 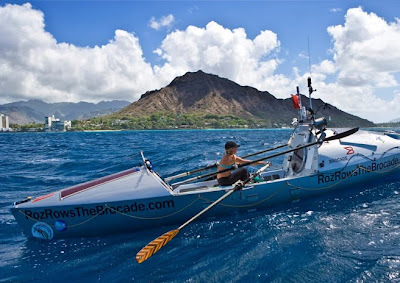 To cross the Atlantic took approximately one million strokes. One oar stroke didn’t get me very far, but together, they added up, slowly, and eventually carried me across three thousand miles. Every action—no matter how small— counts.Today make yours count too. So please; today for humanity as well as for our oceans, do something to help. Pledge never again to use a single-use plastic bag. Vow to eat only sustainable seafood. Take part in a beach cleanup."